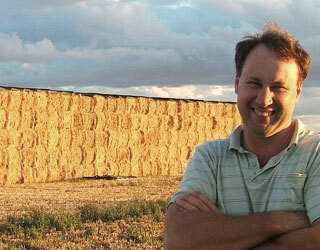 "Join the hundred's of happy customers Covering their straw & hay the safe way!" Hay Caps solve three problems for me in one go; they totally eliminate the working at height risk that is usually associated with the traditional method of sheeting outside stacks. They free up valuable shed space to allow for more cost effective use of the buildings. 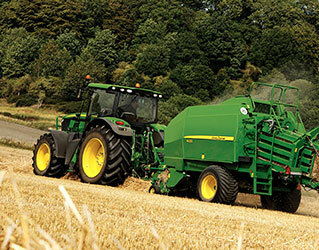 They protect the straw and minimise deterioration from weathering. This product has transformed the way I store my straw, they were easy to apply at ground level. They will save me a fortune, no waste from now on! A great investment. As every farmer knows protecting your hay and straw from wet weather without the use of expensive buildings is an annual problem. 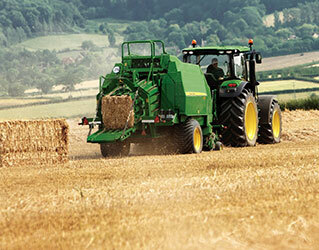 If Hay & Straw bales are not covered correctly bad weather can quickly destroy your valuable stock. With a life span well in excess of 10 years, Hay & Straw Caps create an unrivalled cost-effective method of storing Hay & Straw bales outside without permanent storage facilities. The Hay & Straw cap is easy and safe to fit by a single operative at ground level removing the necessity to ever climb the stack. The Patented, industry awarding winning Hay & Straw Cap has achieved great success in Australia and the USA covering high value forage crops and has now arrived in Europe.